Konnichiwa. Hello! 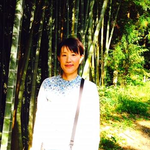 I'm Mari.I am a native Japanese speaker and I have been teaching Japanese more than 15 years as a private tutor in Tokyo. Before I have taught Japanese to large group's students in a language school and also have worked in South America. I like to tailor lessons for various students needs through fresh topics and materials. I'm looking forward to speaking with you about many topics in Japanese! The fee for my lesson is $31 per hour that includes additional practice for you to complete outside of the scheduled lesson time. If, however, you are not interested in receiving supplemental practice, there will be a $7 discount (lesson fee $24). Please let me know prior to purchasing the lessons which option you prefer.